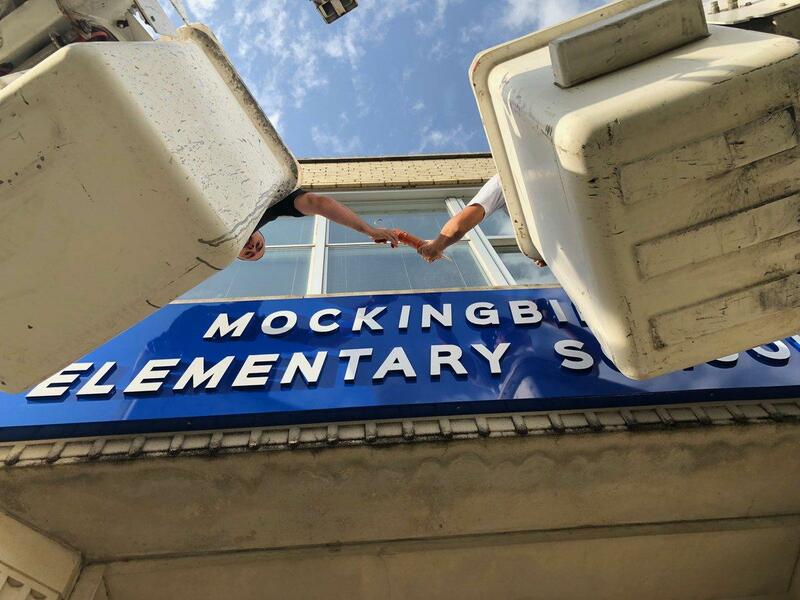 Workers on Monday installed a new sign reflecting a new name for Stonewall Jackson Elementary: Mockingbird Elementary. The Dallas school district is spending part of the summer break replacing the names of four campuses named for Confederate leaders. The district tweeted photos Monday of new signs for the elementary schools updating their names: Stonewall Jackson, Robert E. Lee, Albert Sidney Johnston and William L. Cabell. The names, picked by the school communities and approved by the board, will go into effect July 1. Stonewall Jackson will become Mockingbird Elementary, named for the street in front of it: Mockingbird Lane. Robert E. Lee will become Geneva Heights Elementary. It's the original name of the land where the school sits in the Lower Greenville area. Cabell near Farmers Branch will become Chapel Hill Preparatory. And Johnston in southern Dallas will become Cedar Crest Elementary. Dallas school board trustees approved changing the names of these schools last September, a month after a violent white nationalist rally in Charlottesville, Virginia. Addressing all of the city’s nods to the Confederacy is still ongoing. 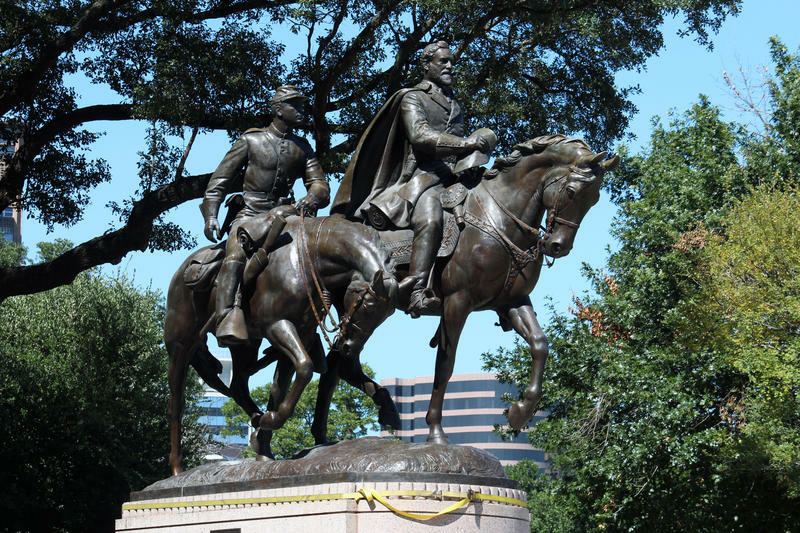 Dallas City Council remains undecided on what to do with a few existing Confederate landmarks. 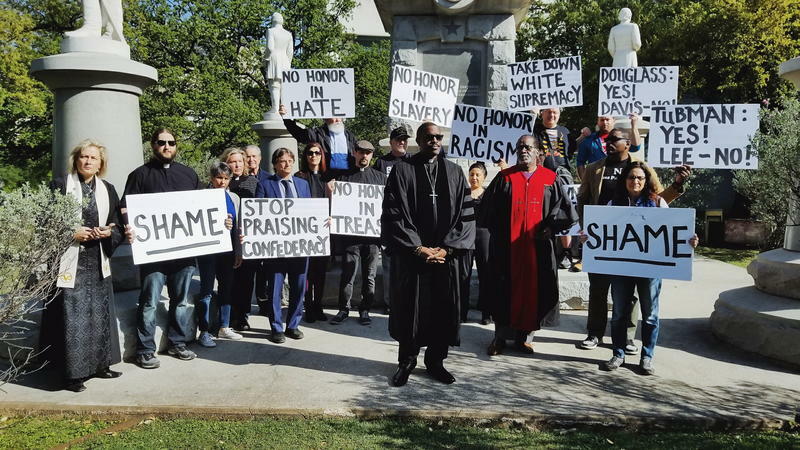 In a meeting Wednesday, council members delayed a vote on whether to demolish the Confederate War Memorial at Pioneer Park Cemetery — and whether to remove the base where a statue of Confederate Gen. Robert E. Lee once stood from Oak Lawn Park.